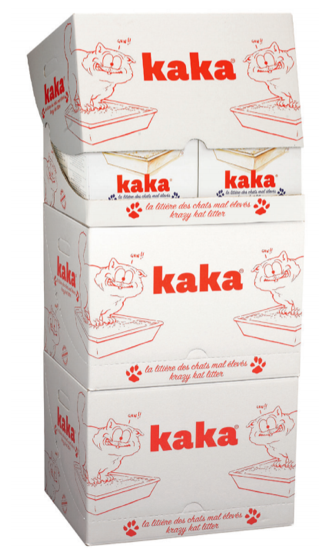 Kaka: French word for poop. KAKA is astounding, uncompromising and exacting, it doesn’t claim to be anything other than what it is. 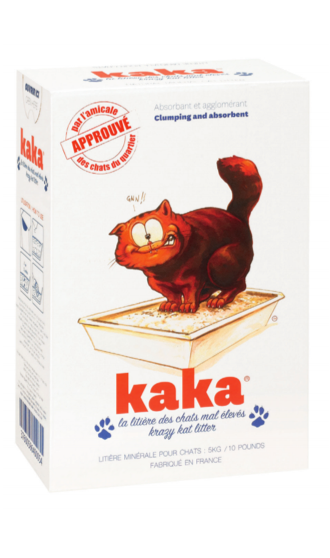 KAKA is nothing but cat litter, opting for a clearcut and ultra-natural ethical positioning rather than generalisations. Natural and free of hang-ups. After all, why pussyfoot around? Where does Kaka come from ? 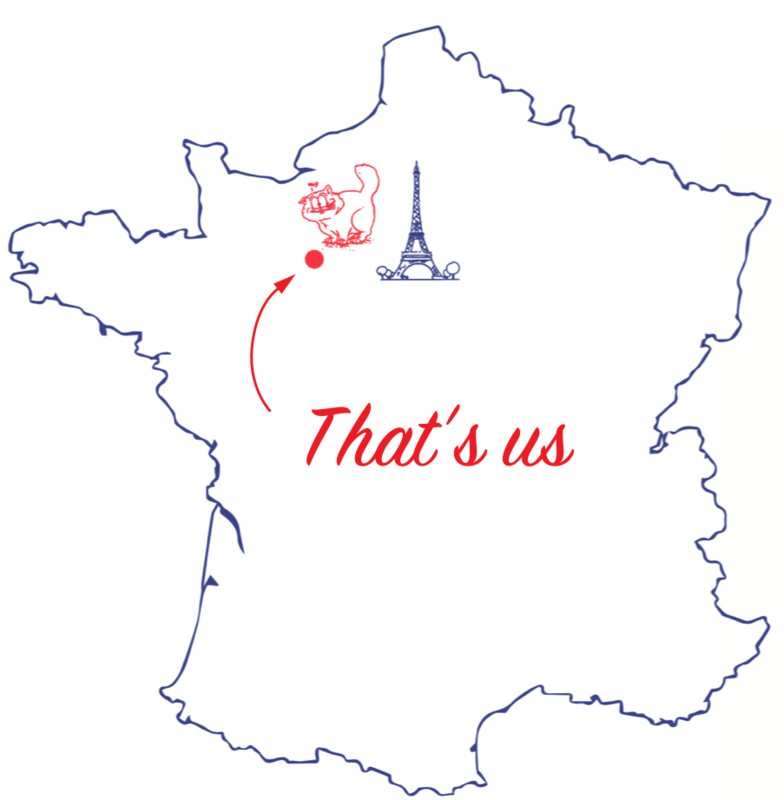 Normandy. 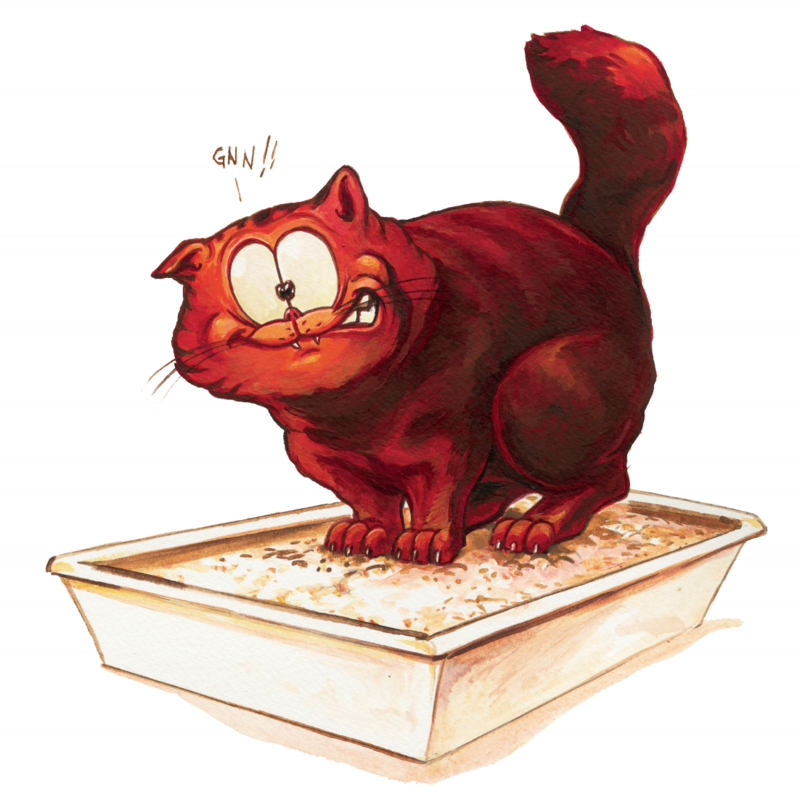 KAKA “Krazy Kat Litter” is produced at our site from clay that is rigorously selected in our quarries. Sold in 176 oz boxes. Each box contains 176 oz of litter. Each display-box contains 6 boxes of litter.